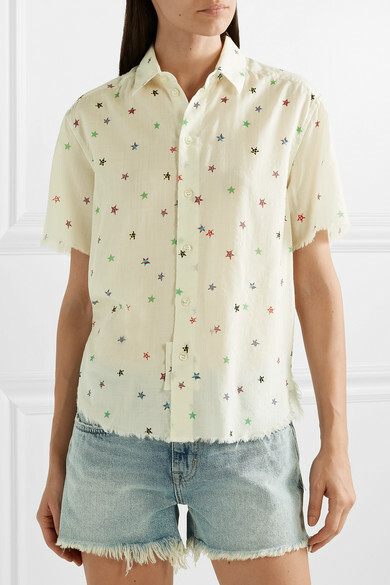 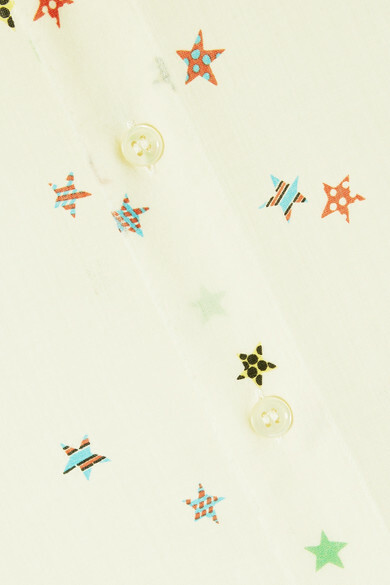 Saint Laurent's short-sleeved shirt is cut from sheer cotton-voile that's printed with colorful stars and detailed with wispy frayed edges. 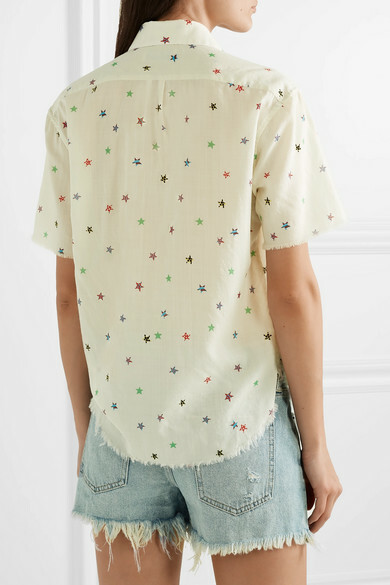 In the summer months, it makes the perfect partner to your favorite pair of denim cut-offs. 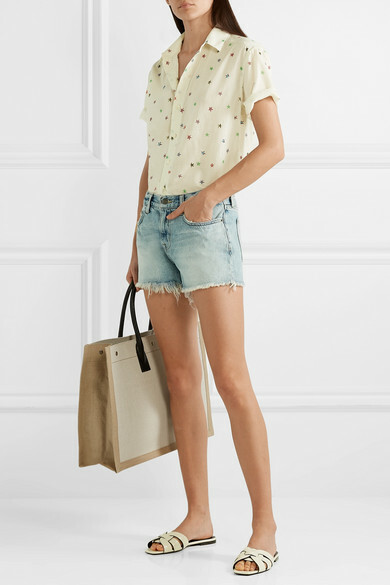 Shown here with: Saint Laurent Shorts, Saint Laurent Tote, Saint Laurent Slides.